After living here for so many years, I had grown to appreciate the crispy on the outside, soft and chewy on the inside European style bread. I started to like it, I even took bread making classes at Sour Flour (which by the way, is highly recommended. Cat is an amazing instructor! ), am a proud owner or my own bread starter, and I'm proud to say that I have baked sourdough breads and baguettes successfully. But somehow something was missing. It's the soft fluffy bread with cotton-like texture like I used to have back in Asia. Sure, since I live in bay area, I can easily obtain some from some Asian bakery, but I wanted to be able to make one myself. Believe me, I tried. I tried so many times, and every single freaking time I failed miserably. Soft bread, yes....er, maybe. Fluffy, no! For the longest time, I thought that I was destined to just purchase my Asian bread. Maybe without bread improver/leavening agent (that the bakeries probably use anyway), such task is impossible! Maybe all of my finger are thumbs! And I was ready to throw in my white towel. Until, I found this recipe about a week ago. Suddenly, the Asian bread God is smiling upon me! The softest, fluffiest, most delicious bread I ever baked! The secret of nice soft fluffy bread is called Tangzhong (coined from Yvonne Chen's Chinese book aptly called 65 degrees), which is really water roux (bread flour and water heated up to 65 degrees C). At 65 degrees, the gluten in Tangzhong would absorb moisture and become leavened. 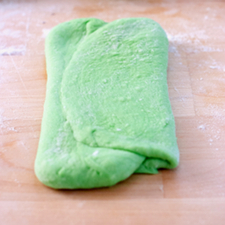 When added to the bread dough, Tangzhong will help producing softer and fluffier bread. Mix flour and water in a small saucepan. Heat the mixture over medium-low heat, stirring constantly with wooden spoon or spatula. The mixture will become thicker and thicker. Use the thermometer to check the temperature. When it reaches 65 degrees C, remove the saucepan from the stove. Set aside and cool down. (Other way to check the temperature without thermometer is to check the mixture while stirring. When 'the lines' appear on the mixture when stirred with the spoon, the Tangzhong is ready). 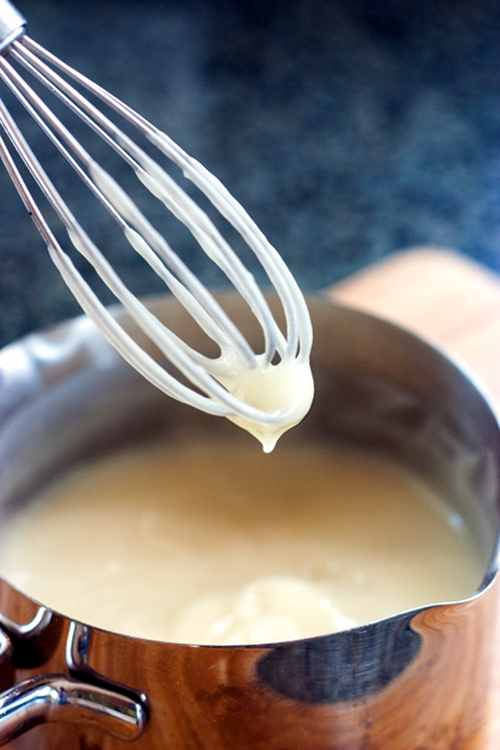 Combine the flour, salt, sugar and yeast in a bowl of a stand mixer. Make a well in the center. Add all wet ingredients (milk, egg, Tangzhong and pandan extract). Fit the dough hook attachment on your stand mixer and begin mixing on medium speed and knead until your dough comes together. Add butter and continue kneading until the dough is smooth, not too sticky on the surface and elastic (about 20 minutes with mixer. I used hands to knead and it took me about 30 minutes and sore hand afterwards, so I don't recommend it). 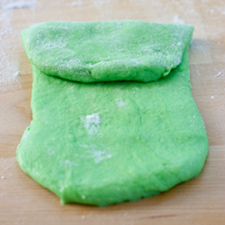 When the dough is ready, you should be able to take a chunk and stretch it to a very thin membrane before it breaks. When it does break, the break should form a circle. Knead the dough into a ball shape. Take a large bowl and grease with oil. Place dough into the bowl and cover with wet towel. Let the dough rise in a warm place until it's doubled in size, about 40 minutes. Transfer to a clean surface. Divide dough into 6 equal portions. Knead into balls. Cover with cling wrap, let rest for 15 minutes. 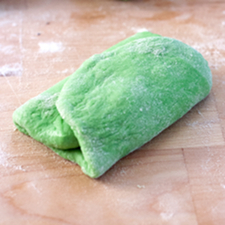 Roll out each potion of the dough with a rolling pin into an oval shape. Take one end of the dough and fold to meet the middle of the oval. Take the other end and fold to meet on top. Flatten the dough with rolling pin. 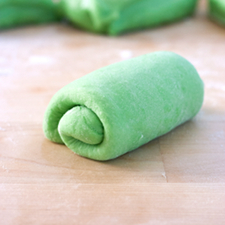 Roll the dough up, repeat with the rest of the portions. Place the rolls into the bread pan and put a piece of plastic wrap over the rolls. Let them rise until double in size, about another 40 minutes. Beat an egg and brush over the top of the rolls. That looks amazing! I have had no luck either with soft fluffy asian breads. Will definitely try this out, thanks for the post! Just wanted to say thanks again =) I have made yummy soft and tender milk bread (minus the pandan flavor) with this recipe...TWICE in a row! That is a success..at least in my bread making book. Hope you have a wonderful holiday season! Thank you and I'm glad you enjoy the recipe. This has been my ultimate recipe for soft bread so far, too. Plain, sweet, stuffed, etc. They always turn out very good and fluffy. so going to try this! I love soft fluffy rolls and have always failed in making them. Same problem you had before, they would be soft-sort of-but never ever fluffy! These rolls look amazing! Think I'll try making it with coconut flakes in before rolling them up. Thank you! What an awesome color!! I love this and it sounds soooo good! I have read of this method but never tried it myself. Your bread looks delicious. Time for me to stop procrastinating and get baking. 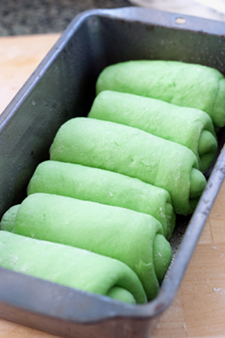 Pandan bread and Tangzhong method? Interesting, but I don't like this green colour. To tell you the truth, green food is not my thing either. 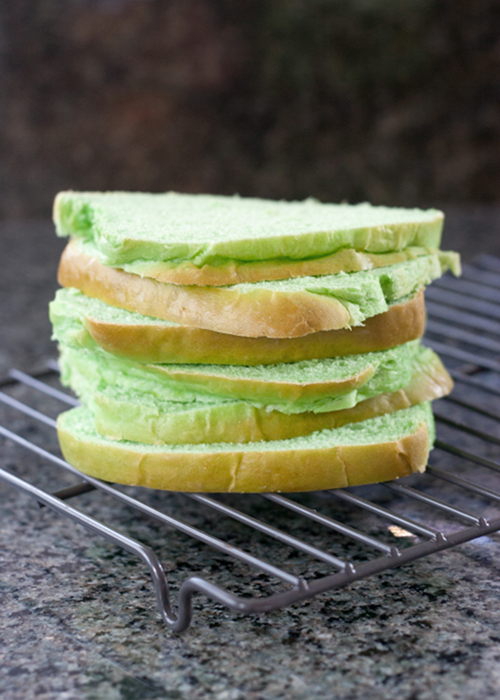 However, I love panda flavor in my bread, and unfortunately the green comes with it LOL. Is Tangzhong method the same with water roux? Yes, it's basically water roux. I use standard size loaf pan, which I believe 9x5x3. Very cool! Perfect color for springtime and St. Patricks Day. Your post is really worth while, informative and fun. 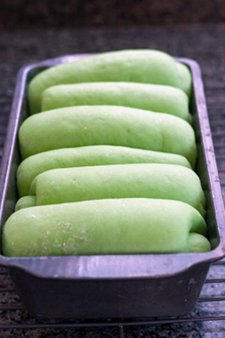 After living in Singapore, I really miss Pandan bread. I've visited every Asian grocer and bakery I can get to in London and none of them have pandan bread. Now I've found your fabulous recipe and I'm ready to give it a try. Just have to find the Pandan paste. Thank you so much Red Shallot. 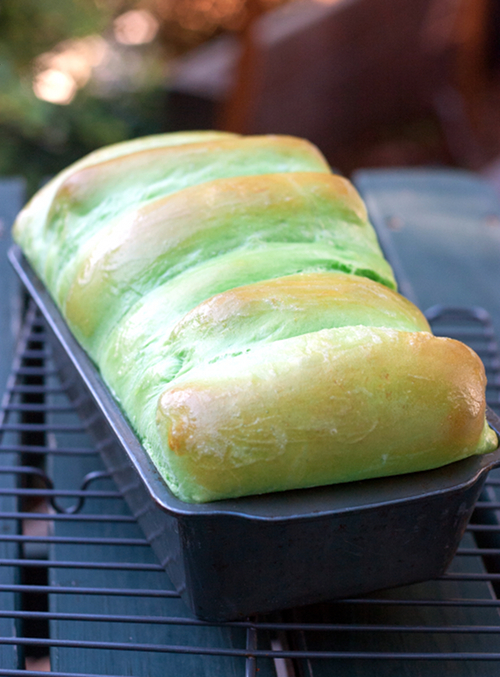 I've made Pandan bread twice and it has worked both times. I have found two different types of Pandan Essence in London. One is syrupy and fairly green, and one is watery and slightly green. I haven't yet found one with the same rich colour as the one you have used. I'm sorry I can't help with where to buy (I live in London), but almond won't taste anything like Pandan. I haven't found anything you can substitute for Pandan. It's such an amazing, unique flavour. You can always make the plain milk bread. That's really yummy too. I made this today and it turned out absolutely flawlessly. Kudos on a great recipe!! 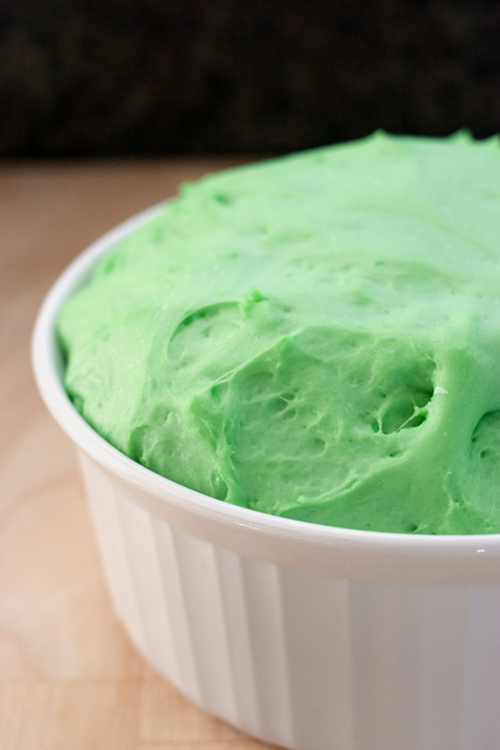 I might omit the pandan next time and use this as a base recipe for all sorts of breads! I made the bread yesterday but I halved the recipe to yield 1 small loaf. It was so soft and fluffy! I kneaded the soft dough by hand for about 40 minutes but I was glad I made it! Great recipe and photos. 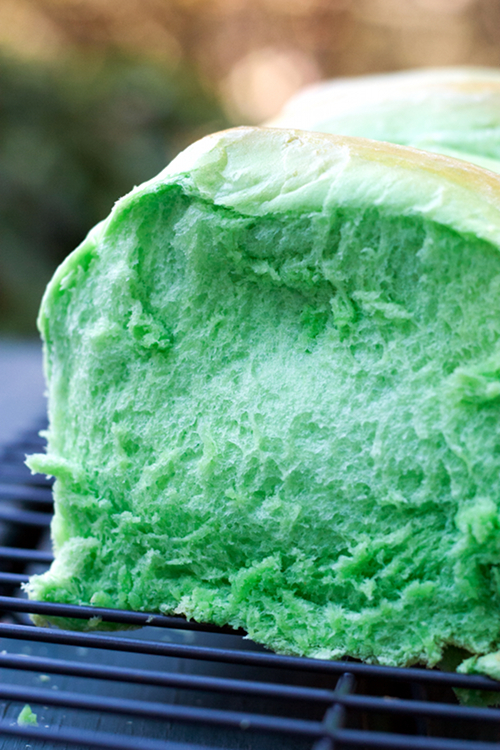 Can you taste the pandan in the bread? or is more for color?